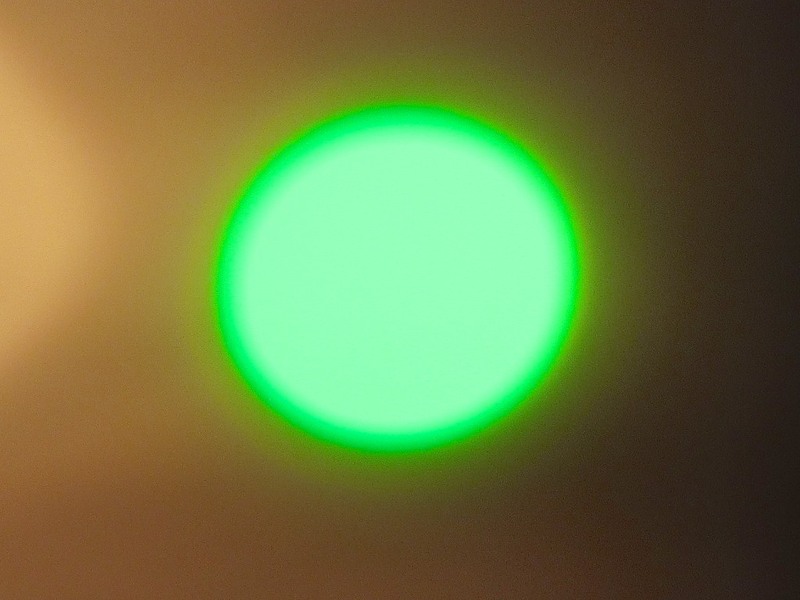 This green light on your wireless router is always a welcome sight. Don’t treat the brains of your smart home like a bunch of old books. Give them a proper space where they can live long and prosper! It’s like a cruise ship’s engine room. A power station that drives the Metro North trains from Connecticut into New York City. If the behind-the-scenes infrastructure doesn’t work, your day goes south pretty quickly. Everyone knows if your power or heat fails, you’re in big trouble. So they pay attention to those details. Why then do so many of us ignore the healthy operating conditions needed to support your technology-driven home life? Perhaps we simply get lulled into a type of digital daze. Suddenly, everyone’s paying attention to your delicate gear that’s driving your digitally dependent home. And an army of power-supply cubes that just seem to keep multiplying like tribbles! Where are all those little ‘magic boxes’ and their power ‘minions’ supposed to go? Now, I’m not suggesting this clutter is all your fault. 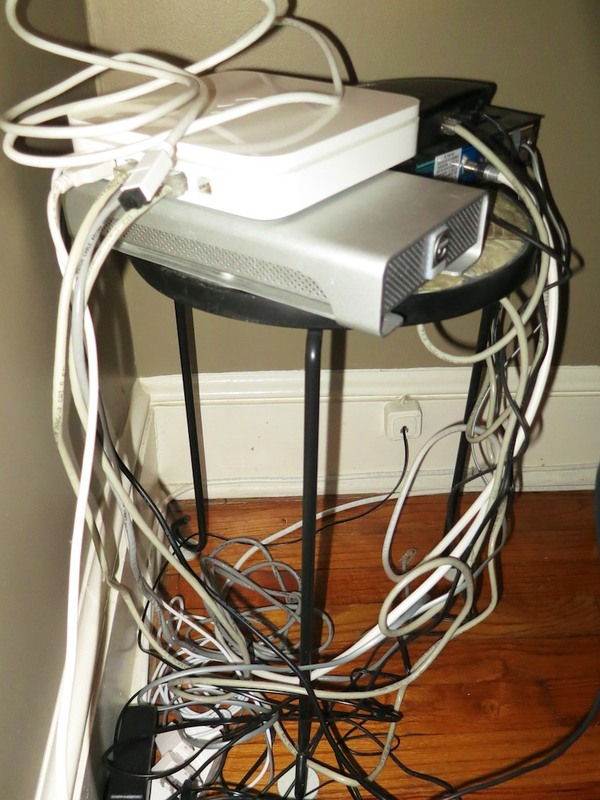 Most of us don’t have the opportunity to create your own expandable tech closet with nicely dressed cables and an ample supply of wall plugs. You’ve got to make due with your house’s current terrain. But you should also do what you can to protect this gear and make sure they’re easily accessible when they go on the blink. The biggest mistake you can make is stacking one box on top of the other to save on space. They’re simply not designed to become load-bearing structures. They’ll overheat with the reduced airflow, and that, in turn, will lead to inevitable disaster. Recently, we relocated some furniture around the house as a result of my three- year-old’s growing footprint. And four of my magic boxes suddenly needed a new home. It was actually a great opportunity, as they had been languishing in a sub-optimal corner on the floor in my office. 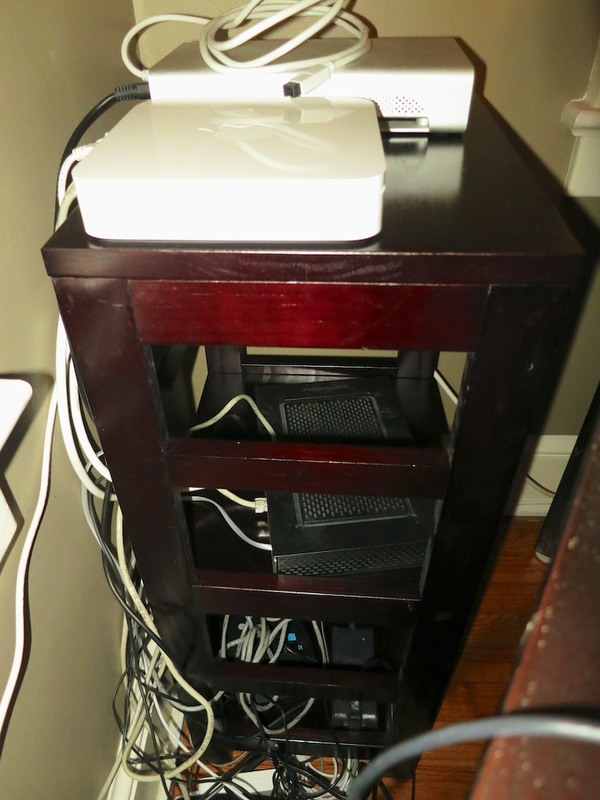 So I stacked all of them, including my Apple AirPort Extreme Base Station and Cablevision modem, on top of a three-legged flowerpot stand. Then, I placed this teetering monstrosity behind a desk where my magic boxes would now be living. Talk about a disaster waiting to happen! Everyone needs a sturdy and safe shelving unit for their magic boxes to live in. What I really wanted was an equipment rack like you’d find in a TV station’s control room. But one small enough to fit in Mini-Me’s bedroom. 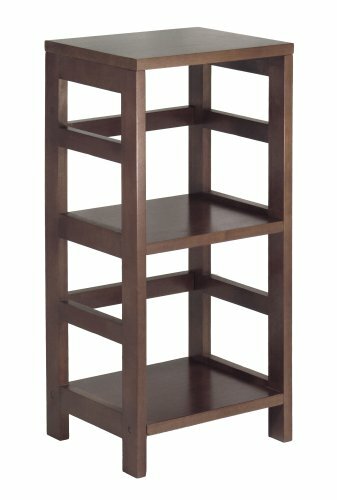 Something as small as a nightstand but stacked with lots of little shelves. Of course that’s not a piece of furniture your average Joe rushes out to get. I can’t imagine what use it would have for most people. But it would be just about perfect as my new magic box house. Its three-shelf structure wastes some vertical space, but at least it can provide plenty of breathing room for gear! As a bonus, its height matched the desk it would be shadowing almost to the centimeter, and the coloring was a close match too! Two days later, I slipped it into place. Then I moved my magic boxes moved in. Their lights blinked with cozy joy. I highly recommend finding a permanent abode for your magic boxes. It doesn’t have to take up a lot of space or require an expensive solution. Nobody else even needs to know its there.